School Vision - To give every child the opportunity to experience a diverse and enriching curriculum that challenges each individual to become a confident and successful member of the community. The Pupil Premium was introduced in April 2011. Additional funding is allocated to our school to support children from low-income families who are eligible for free school meals, looked after children and those from families with parents in the Armed Force. It is provided in order to give additional support and resources to narrow the attainment gap between these groups of children and other pupils. The funding aims to increase the rate of progress and raise attainment for these children specifically. It is for each school (the Governing Body with the Headteacher) to decide how the Pupil Premium funding is spent in the school. All schools are required to report on the amount of funding received, how this is being used, and the impact of any work done. Towards the end of this document you can see what we have done in previous years. In the 2013/14 financial year St Jude & St Paul’s received £118,172 in Pupil Premium funding. 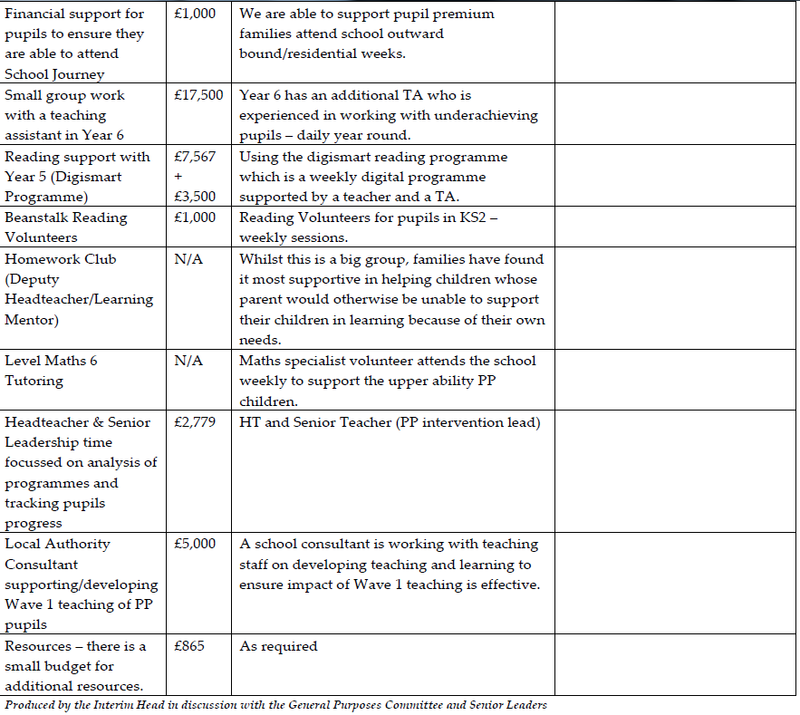 In the 2012/13 financial year St Jude & St Paul’s received £51,240 in Pupil Premium funding. - Speech & Language Therapy support (1 day a week) – interventions and staff training. 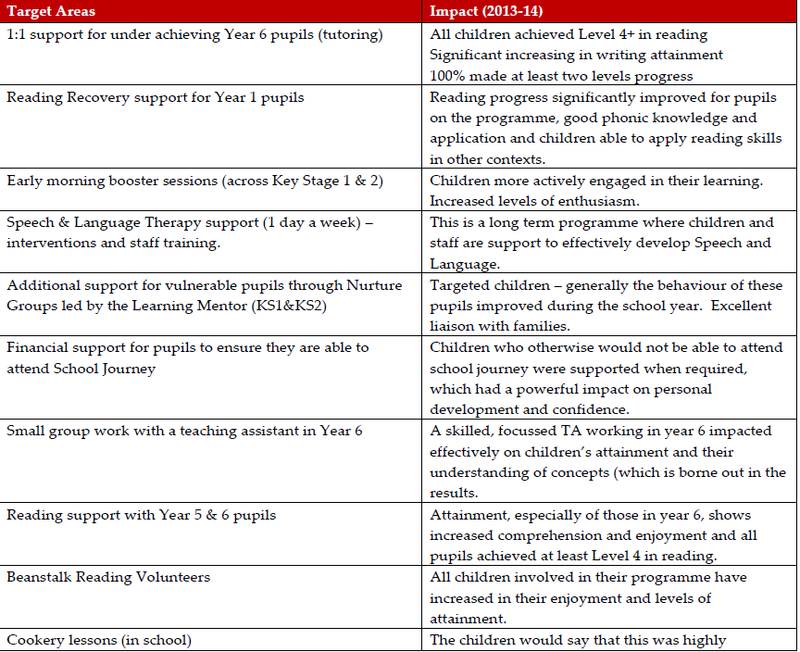 In 2013 the school reviewed the work of the teaching assistants in the school, planned to put in place more specific intervention programmes from September 2013. 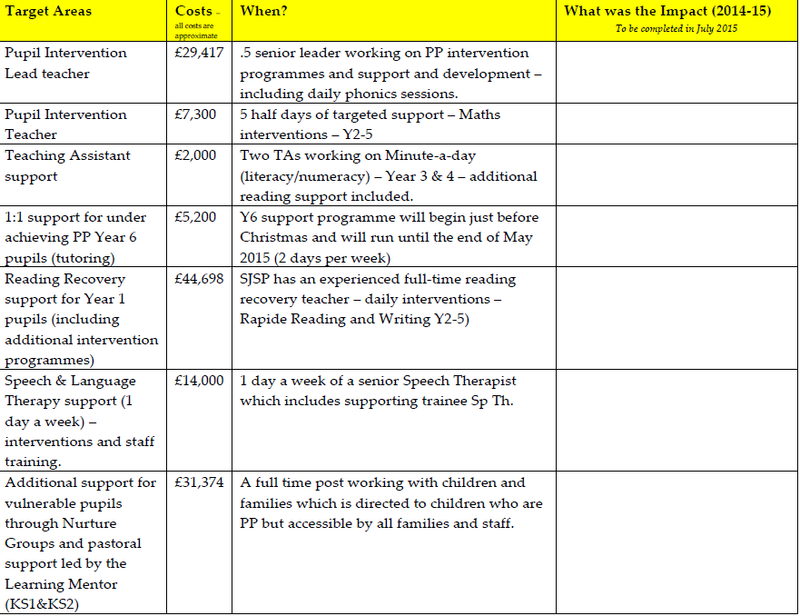 A full review of the impact of the funding/spending will take place during the second half of the summer term 2014.